Paul arrived at United on loan from Celtic. A Scotland youth and Under-21 cap, he went on to feature regularly until the end of the campaign when he returned to his own club. Paul was born on this date in Irvine. 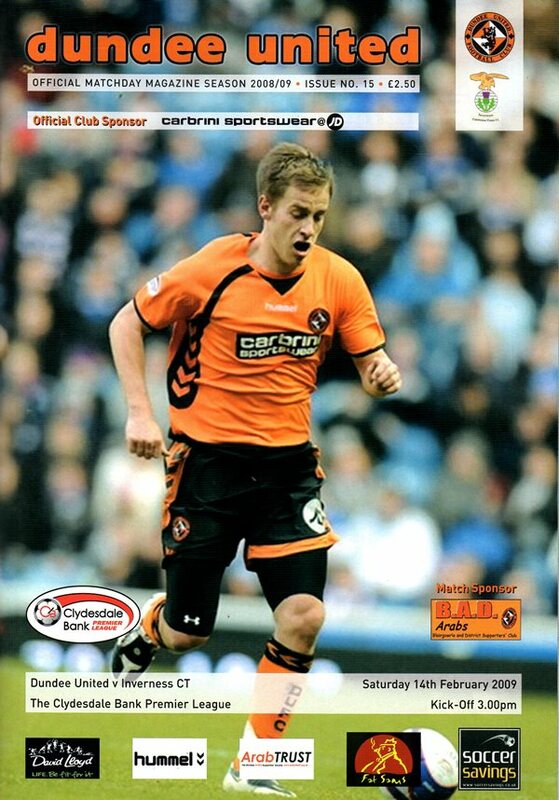 A second half equaliser from Lee Wilkie was enough to earn United a point in a scrappy encounter at Tannadice. Former United man Eric Odhhiambo had the Caley Jags ahead at the break in a game that also saw the visitors reduced to ten men when Russell Duncan brought down Danny Swanson in a goal scoring position. United’s season ended in bitter disappointment when they went down to a heavy 3-0 defeat at the hands of newly crowned champions Rangers. Goals in the first half from Lafferty and Mendes had Rangers in control and when Boyd scored five minutes after the break the game was effectively out of sight for United. To make matters worse Aberdeen managed to beat Hibs at Pitoddrie which allowed them to leapfrog United and secure European football next season.